These goats travel 5 km through a forest to reach this very large mineral lick. The journey is very high risk but the goats make the trip over and over. 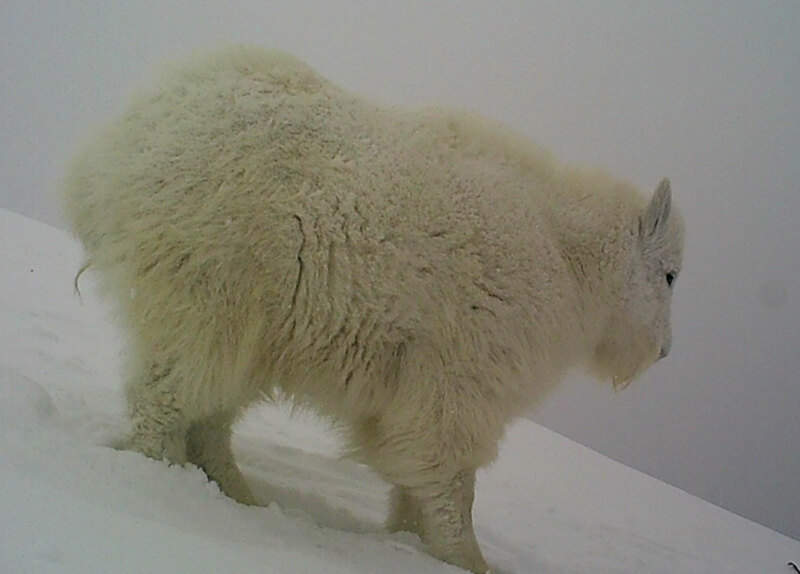 Not all mountain goats live high in the alpine. Some reside in low elevation creek canyons down in the forest. They are seldom seen but you'll watch them here. 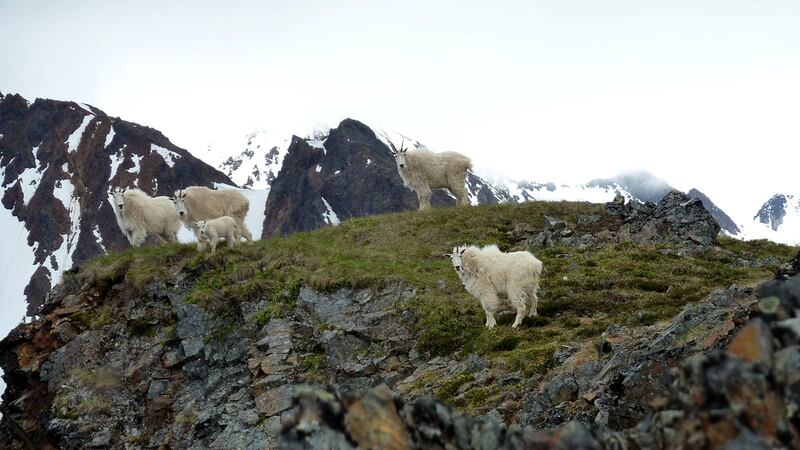 Video and photos of the key events in the summer for mountain goats - from birth of kids to shedding a winter coat to moving up and down the mountain for browse and safety. We explain possible encounters you may have while hiking. Video from real-life show what to do to keep yourself and the goats safe. 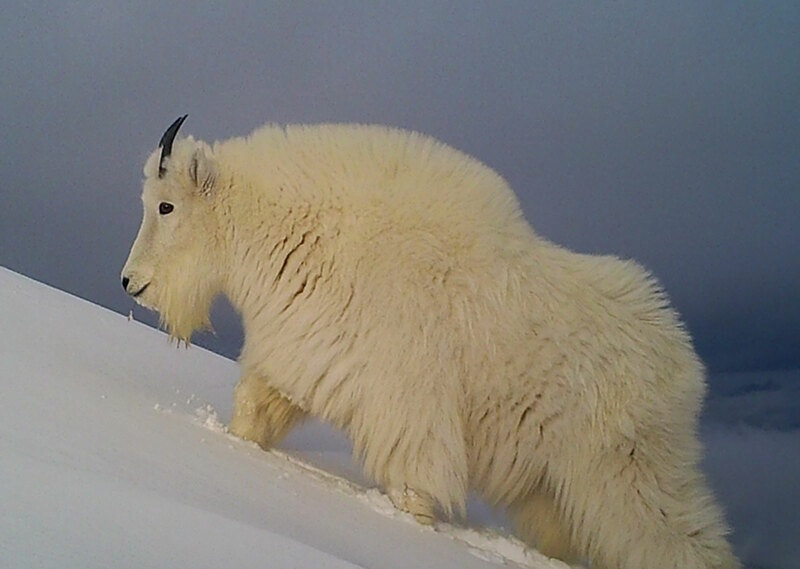 Getting too close to mountain goats, a parade of goats in winter sunlight, this video is all for fun. 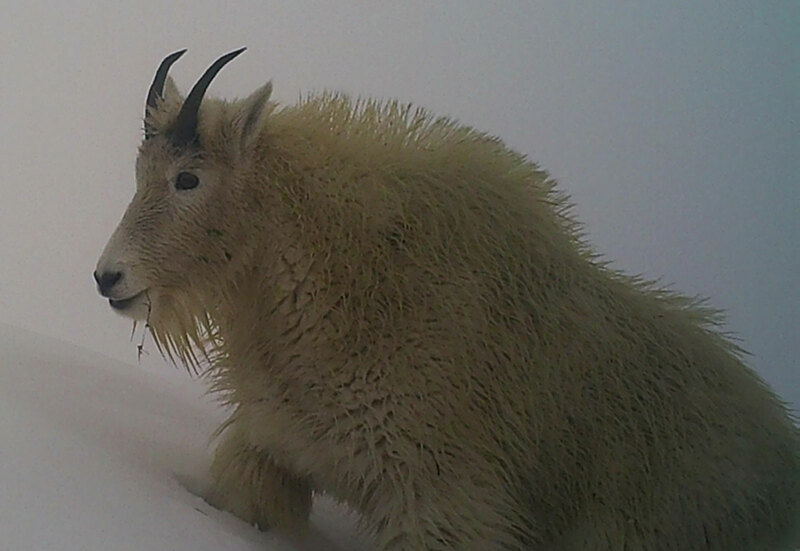 Wind clears snow from the ridgetop winter home of a small herd of mountain goats. 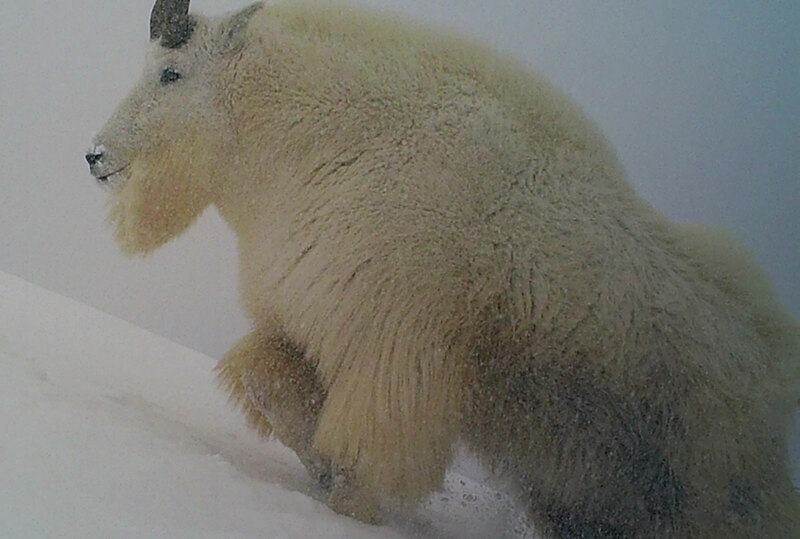 A trail camera is an excellent way to observe mountain goat behaviour without effecting the goats. 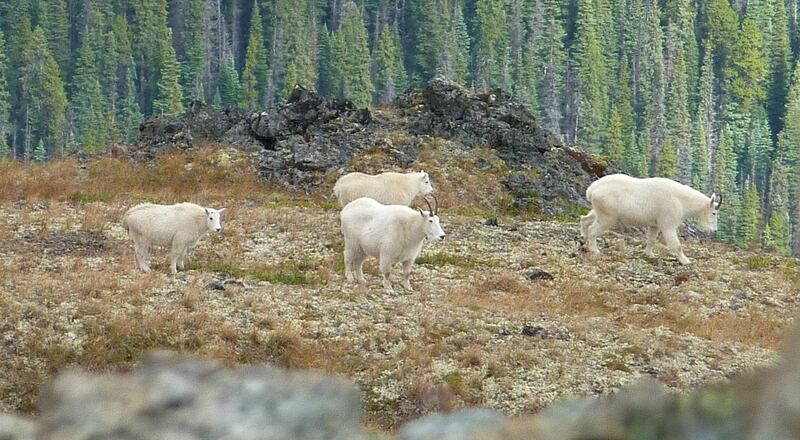 Mountain goats stay in the shade on hot summer days and stay busy finding scarce feed on cold winter days. 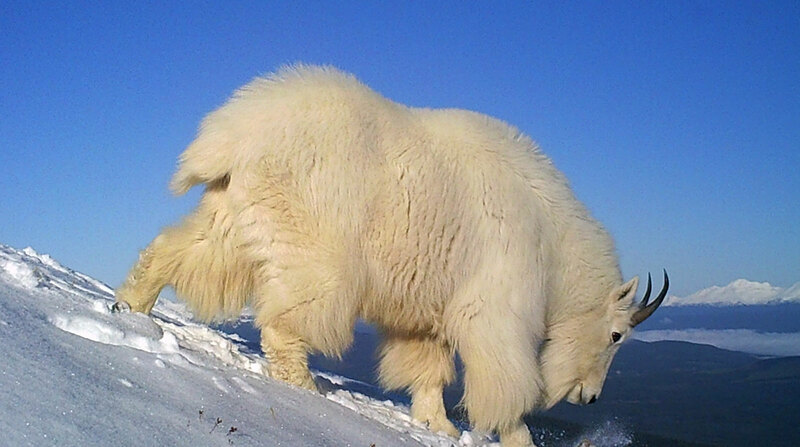 But there are few animals that share the mountain in winter. 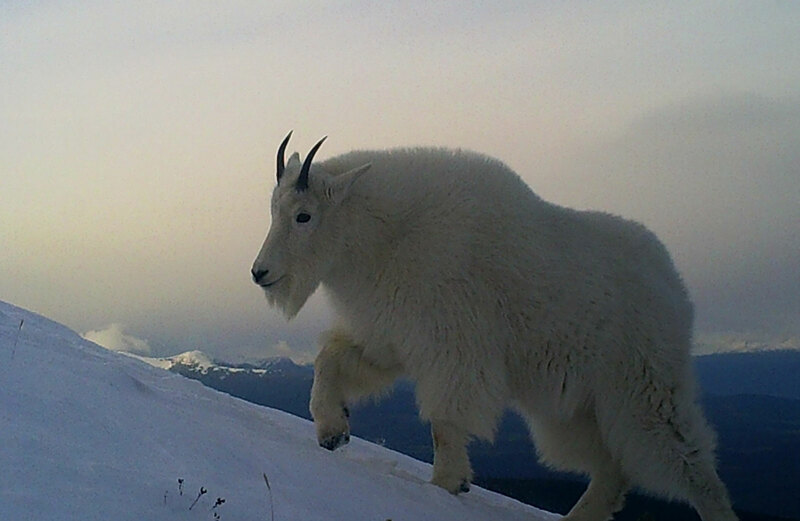 When not hunted, mountain goats show little fear of humans. Instead they are curious and will approach to get a better look. 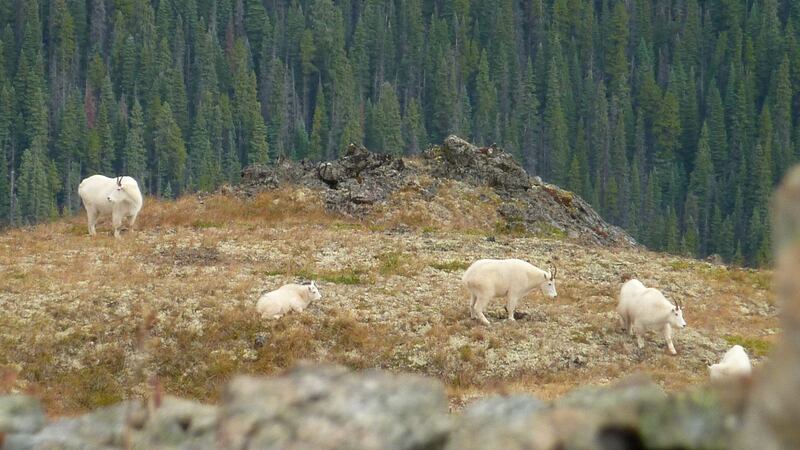 Part 6 - Yukon Mountain Goats - Do they climb trees? 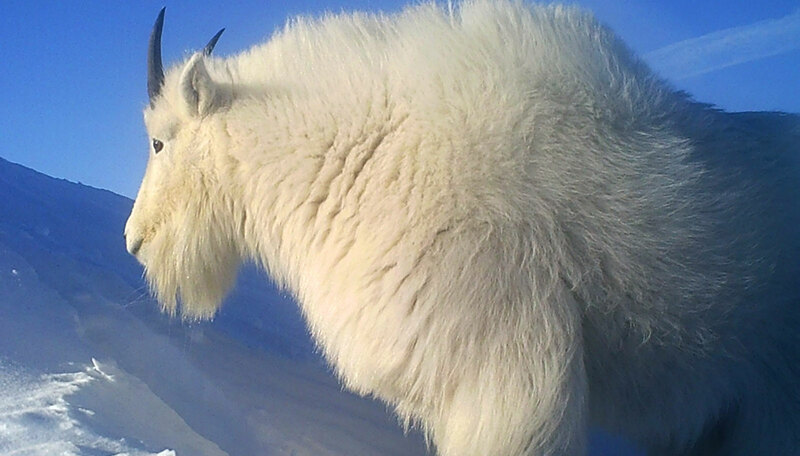 Mountain goats shed their long winter coat in early summer. Mountain goats dig a shallow depression in soft soil for a bed. The herd is made up of nannies, kids and immature males and females. 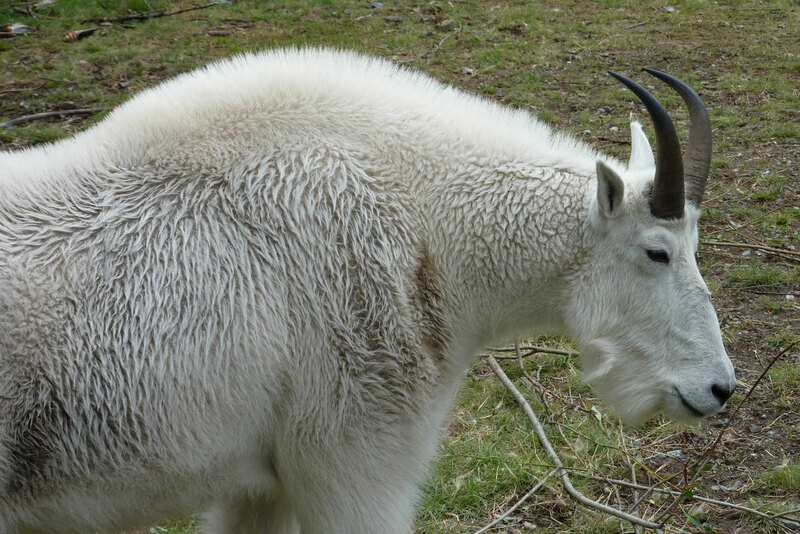 Mature male mountain goats stay alone or in small bands of 2 to 5. 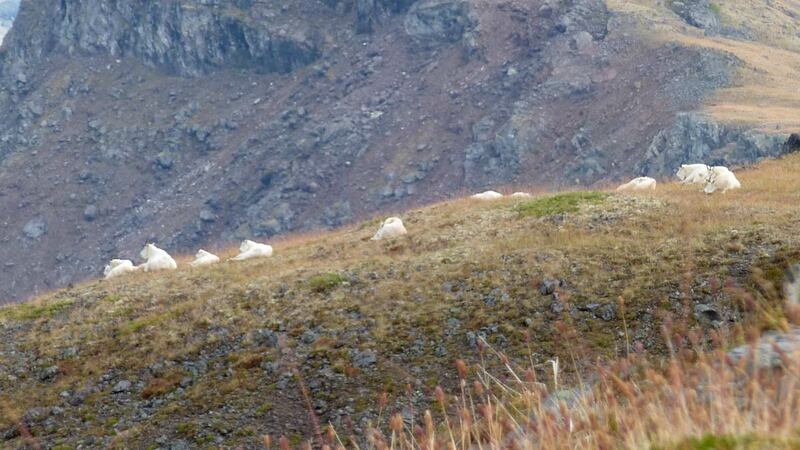 Caribou stay on flat or rolling alpine plateaus and do not compete with goats for feed. Ptarmigan stay on the open alpine meadows year-round except in stormy weather. 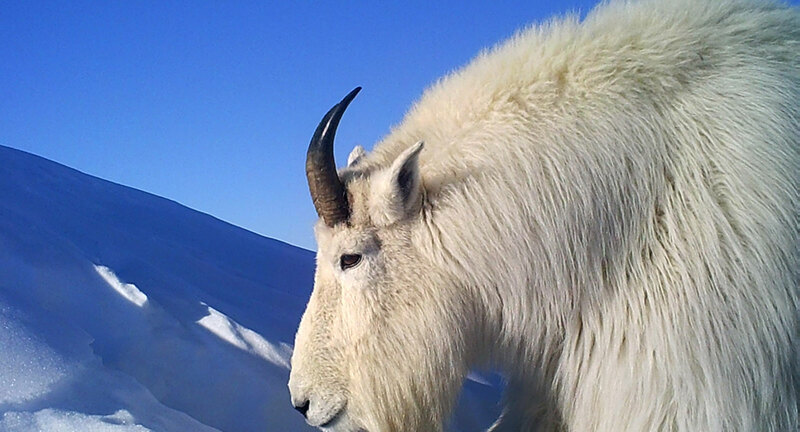 Mountain goats are safe from predators on near-vertical rock walls. Marmot are an alpine groundhog. They live close to wet meadows with a good source of water. They hibernate for 8 months of the year so summer is an important time of year.